Sewer Relining is a Renewal Activity, where a PVC pipe is inserted or extruded into a clay or concrete Gravity Sewer, nearing the end of its life. 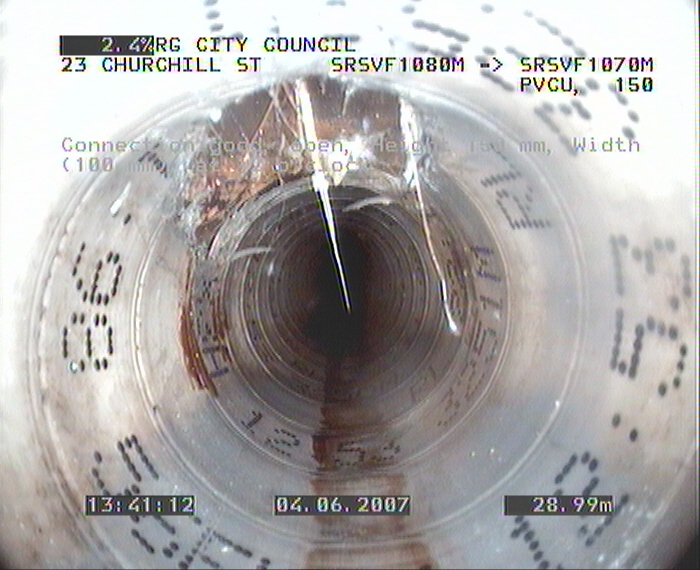 Internal view of a relined sewer. The internal diameters of relined sewers are about 90% of their original diameter. It is important to carry out repairs on sewers prior to relining them to ensure any constrictions in the pipe are not exacerbated in the relined pipe.